You need a fish tank to keep fish at home. If you fail to include the right filtration system, you won’t find it easy to keep the aquarium clean and healthy. For instance, smaller tanks should house only a couple of fish. Water also needs to be frequently changed. Larger tanks are easier to maintain, but it will create some problems in the long run. 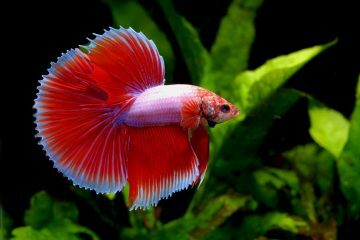 You need to know what you should consider when choosing a fish tank. One of these is the tank’s durability. It should be water tight as well. If it’s not water tight, it will be difficult to house fish due to the quick degradation of its environment. If there’s water leakage, the fish will not only have less dissolved oxygen, less room and higher levels of waste to deal with. It can also damage your furniture, personal belongings and flooring. The fish tank should be non-water soluble as well. It should be made of non-toxic materials. 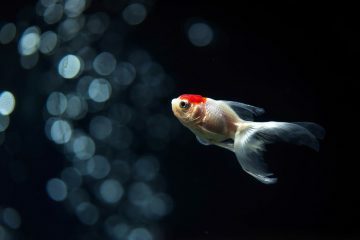 If you fail to follow this requirement, the fish will die from chewing the materials in the tank or from a small amount of toxins that will be released in the water. You should also consider the tank’s aesthetics. After all, you will be putting it in your office or home. 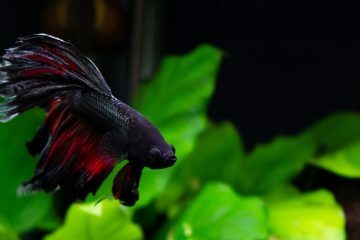 You have to meet these requirements in order to keep your fish healthy and clean. 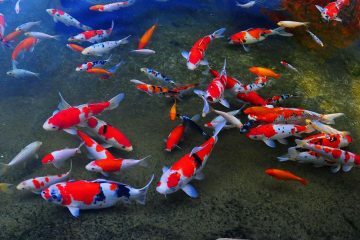 If you’re looking for leading fish tanks, here are some of your best options. 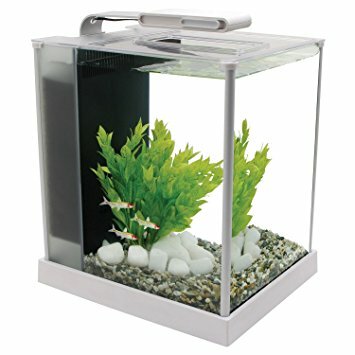 The crescent shaped, 5 gallon aquarium is made of top quality plastic. It has a plastic canopy with bright colors, providing the perfect background for your GloFish. 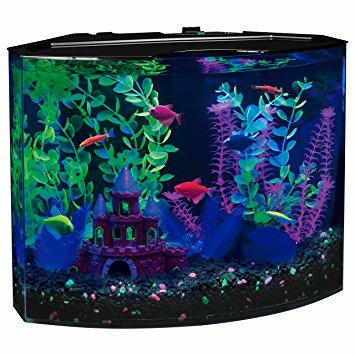 Aside from emphasizing the unique color of the fish, the 15 blue LED lights also brighten up your interior décor and the aquarium. The GloFish 29045 Aquarium Kit has a high quality filtration system that uses a medium Bio-Bag filter. 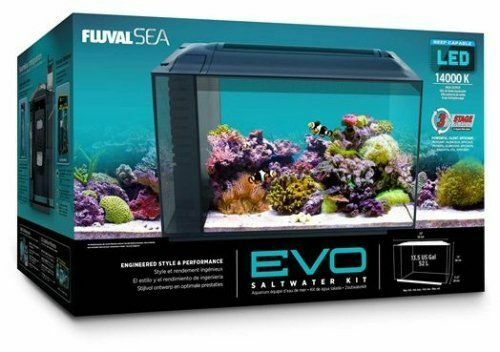 The Fluval 10531A1 SEA EVO XII Aquarium Kit can fit on any counter top or desk. It may be small, but it performs just like bigger tanks. The 13.5 gallon aquarium measures 22″ x 11.5″ x 15″ and is equipped with 14000 K LED lights that provide the best conditions for healthy coral conditioning, color and growth. It has a three-stage filtration system with large biological, mechanical and chemical media that delivers excellent water quality. With this aquarium kit, you can grow and cultivate your mini reef with ease. The elegant honeycomb design obscures back filtration area, resulting in a modern look that can complement any interior décor. It also has an easy-feed door and aluminum waterproof covering. The 2.6-gallon Fluval Spec III aquarium has a powerful three-stage enormous biological, mechanical and chemical filtration system. Measuring 11.8″ x 10.8″ x 8.7″, the etched-glass aquarium has an aluminum trim that combines functionality and style in one package. 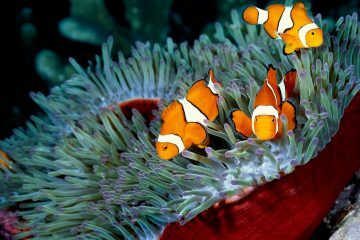 The aquarium may be small, but its features are not. It has 31 LED lamps that arch above the aquarium to illuminate the décor and plants. The circulation pump also has an adjustable output nozzle. The aquarium comes with BioMax bio rings for thorough chemical, biological and mechanical filtration, a porous foam block with handle and activated carbon. It’s perfect for countertops, desktops and other small areas. These are only some of the best fish tanks today. Always consider the size of fish and space you have, your budget and the needs of fish before buying anything. This way, you can get the right fish tank for your pet.